Ceò means mist in Scottish Gaelic and that is exactly what this beautiful soft grey colour says to me. 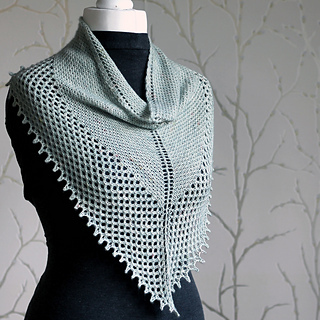 Perfect for misty mornings in the early spring when there’s still a bit of a nip in the air. Ceò is a textured cowl worked flat before being joined in the round, with a really easy repeat it’s perfect relaxing knitting and will fly off your needles. The Picot Bind-Off adds a final feminine flourish and has been carefully designed to extend the mesh lace right to the edge of the shawl. 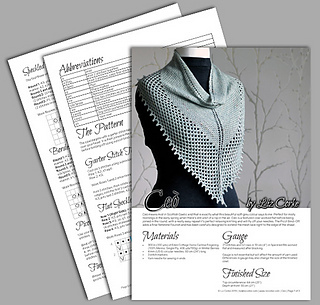 The pattern is fully written and charted so however you like to read your patterns, you’re covered! The pattern has been tech edited and test knitted. There’s a screenshot of the pattern and a list of the stitches used at the bottom of the photos. 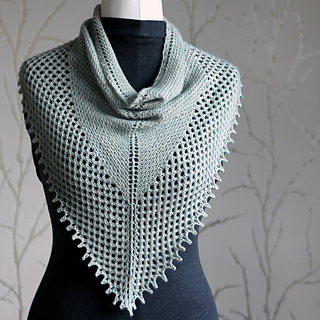 The pattern uses a garter tab cast on, simple increases/decreases, and slipped stitches. 21 stitches and 52 rows in 10 cm (4”) in Speckled Rib worked flat and measured after blocking. Gauge is not essential but will also affect the amount of yarn used. Differences in gauge may also change the size of the finished cowl.